In this business guide, we discuss how the latest code signing technology works to secure software code and content for applications that are directly downloaded to mobile devices from the Internet. These applications can come either from the software publisher's or application reseller's websites, or directly from the mobile service provider's network. 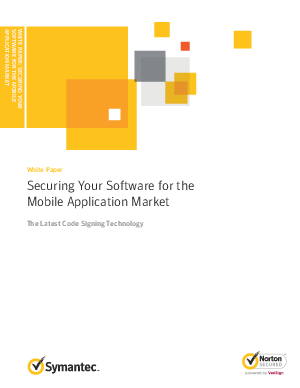 We will also show why code signing platforms need to be flexible, scalable, user-friendly, and easily adaptable to different mobile operating platforms.